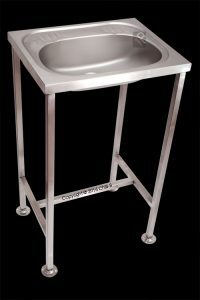 Model CB-WB-FS Stainless steel free standing hand wash basin, 535 x 420 x 150 mm deep. The unit is manufactured from a high grade austenitic Stainless Steel, 0,8 mm gauge. The basin includes a pressed bowl 410 x 300 x 140 mm deep with a 40 mm waste outlet and 32 mm apron all round. 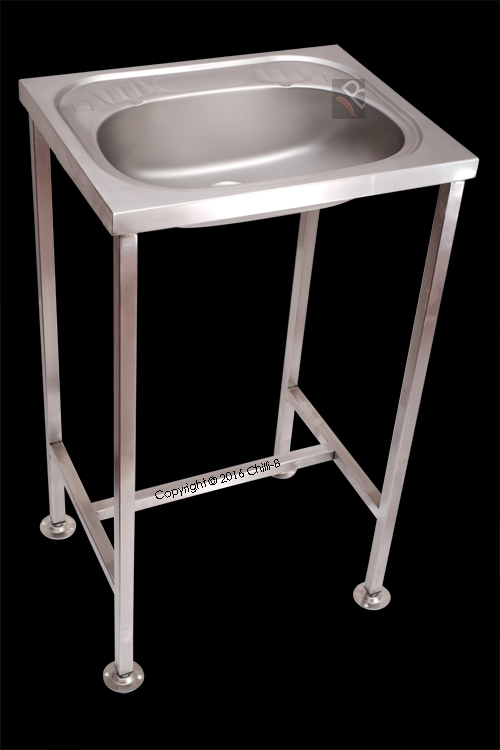 The basin is fixed to a set of square stainless steel adjustable feet 900 mm high. 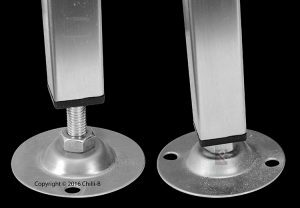 Each foot can be adjusted by ±20 mm to compensate for uneven floors.